A regular contributer to Photo Art Friday, hannah of the blog, honi - soit, recently asked if I would post a larger version of my new PAF button (see sidebar). So, dear hannah, this post is for you! 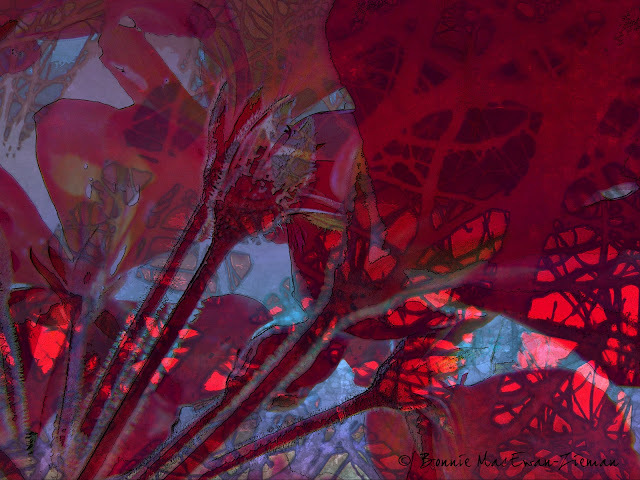 It began as a macro of geranium petals and stems. I added one of my new Art-Easy textures - tried a few different blending modes and opacities and came up with an image I like so much, I decided to make a blog button of it. 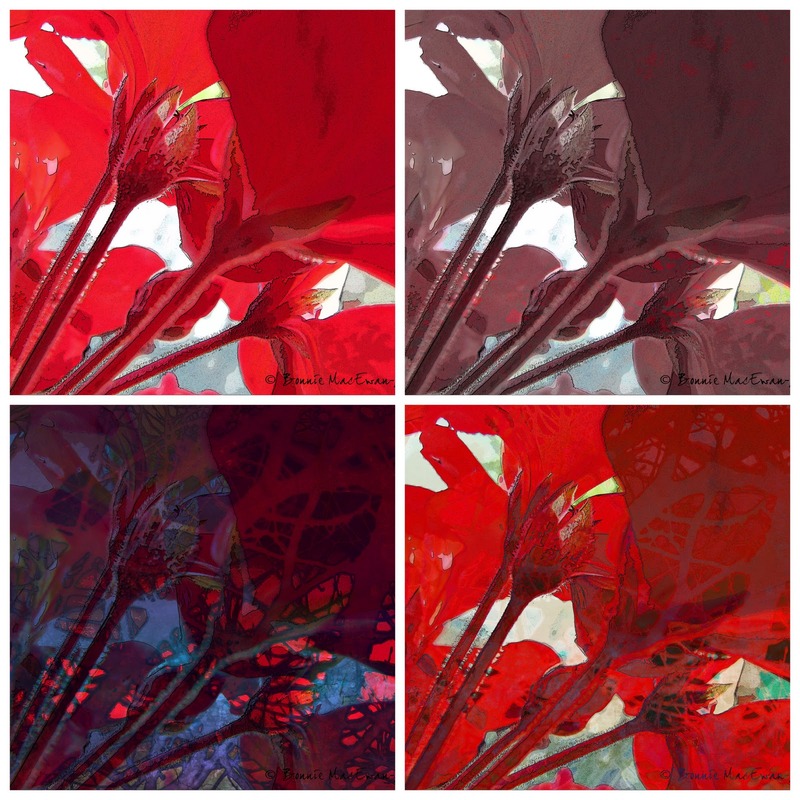 If you would like to try out some of these Art-Easy textures on photographs you would like to use as a canvas to create some art, simply scroll down to the previous post, or click HERE. Four new textures are available there for free download. Have fun! I am linking this post to Lisa's The Creative Exchange. Just click on her button to join us there! Beautiful color harmony, design, and pattern in your PAF button art!!! I also really like the last image in your mosaic. All of your art is just stunning! Just saw this wonderful thumbnail pop up in my bloglist. How jewellike it is: glowing like a ruby. A beautiful work of art! Great. This is really beautiful - I love the colours! I love the wonderful color. Lovely texture Bonnie! All the variations are all so gorgeous!! Wow! Thanks a ton for sharing. I love your textures! These are gorgeous Bonnie, so beautiful.